In a not-too-distant future, a simple outpatient procedure that has been promised to increase empathy between romantic partners has become all the rage. So when Briddey Flannigan's fiancé proposes that he and Briddey undergo the procedure, she is delighted! Only, the results aren't quite as expected. Instead of gaining an increased empathetic link with her fiancé, Briddey finds herself hearing the actual thoughts of one of the nerdiest techs in her office. And that's the least of her problems. Dr. Joanna Lander is a psychologist specializing in near-death experiences. She is about to get help from a new doctor with the power to give her the chance to get as close to death as anyone can. Sandra Foster studies fads and their meanings for the HiTek corporation. Bennett O'Reilly works with monkey group behavior and chaos theory for the same company. When the two are thrust together due to a misdelivered package and a run of seemingly bad luck, they find a joint project in a flock of sheep. But a series of setbacks and disappointments arise before they are able to find answers to their questions - with the unintended help of the errant, forgetful, and careless office assistant Flip. Miriam Beckstein is a successful reporter for a hi-tech magazine. So when she discovers a huge money-laundering scam, she thinks she's hit the big time. But when she takes it to her editor, not only is she fired, but she starts to receive death threats. And that's just the beginning. To distract her furious daughter, Miriam's adoptive mother unearths mementos from her real mother, murdered when she was an infant. But these reveal a secret that will ultimately throw entire governments into disarray. For what Miriam thinks is a simple locket has the power to fling her into an alternate time line. In her first novel since 2002, Nebula and Hugo award-winning author Connie Willis returns with a stunning, enormously entertaining novel of time travel, war, and the deeds - great and small - of ordinary people who shape history. Oxford in 2060 is a chaotic place. Scores of time-traveling historians are being sent into the past, to destinations including the American Civil War and the attack on the World Trade Center. Michael Davies is prepping to go to Pearl Harbor. Merope Ward is coping with a bunch of bratty 1940 evacuees and trying to talk her thesis adviser, Mr. Dunworthy, into letting her go to VE Day. Polly Churchill's next assignment will be as a shopgirl in the middle of London's Blitz. And 17-year-old Colin Templer, who has a major crush on Polly, is determined to go to the Crusades so that he can catch up to her in age. But now the time-travel lab is suddenly canceling assignments for no apparent reason and switching around everyones schedules. And when Michael, Merope, and Polly finally get to World War II, things just get worse. For there they face air raids, blackouts, unexploded bombs, dive-bombing Stukas, rationing, shrapnel, V-1s, and two of the most incorrigible children in all of history to say nothing of a growing feeling that not only their assignments but the war and history itself are spiraling out of control. Because suddenly the once-reliable mechanisms of time travel are showing significant glitches, and our heroes are beginning to question their most firmly held belief: that no historian can possibly change the past. 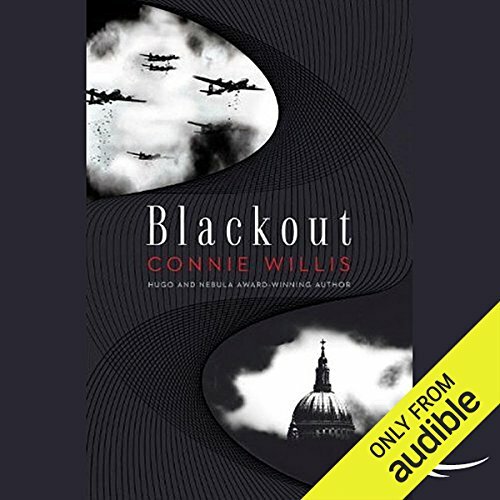 BONUS AUDIO: In an exclusive introduction, author Connie Willis discusses her fascination with WWII and the historic context of Blackout. IMPORTANT NOTE: Blackout is the first volume of a two-part novel. To find out what happens to the time-traveling historians from Oxford, we invite you to download the concluding volume, All Clear. ©2010 Connie Willis (P)2010 Audible, Inc. I have read other reviews of this book and have to agree that one or two words are pronounced wrongly, and they do jump out at you when listening. Two examples that spring to mind are 'Daimler' cars which are wrongly pronounced as 'Dimeler', and worst of all 'passage' which for some reason is pronounced as 'parsage'! 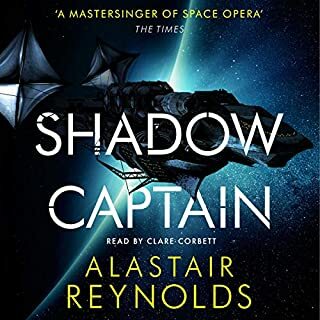 Apart from those minor problems, the narrator is excellent throughout, helping to make the story both fascinating and involving for the listener. The author has researched well, and it is easy to feel involved in the London Blitz. I recently saw some archive photographs of Londoners living through the Blitz and they reminded me of this book - surely a good sign. 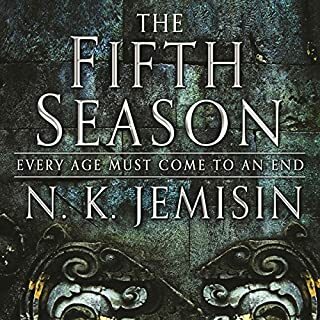 I have not finished the follow-up book yet, but I'm getting near the end and will be disappointed when it is finished. 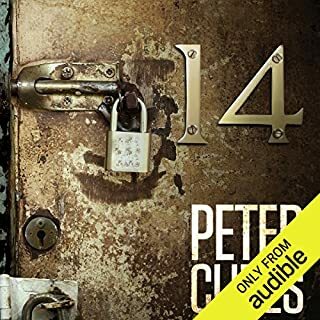 You must listen to this book first, and then you will have to listen to 'All Clear' to find out what has happened to all the characters as nothing is resolved by the end of this book. I recently listened to 'Dune', which was supposed to be a classic of science fiction. I found it to be very hard going, despite the high quality of the audio production. 'Blackout' has come as a refreshing relief with its easy to follow, interesting story. I am rather biased though, as I am a big fan of time travel fiction. 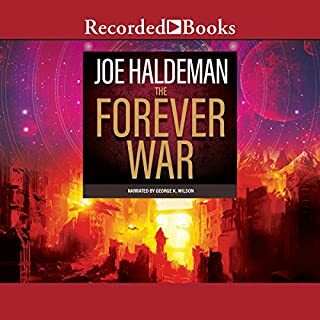 I thoroughly recommend this audio book, even if you are not a science fiction fan. I found this very evocative, as a child I walked past the City bomb sites to school. My mother had a fear of shelters and refused to go to one when she was waiting for my dad in trafalger square once. Dad said he was terrified but mum was cool as a cucumber. Unlike some others I love this book and the sequel. I confess that I waited for the sequel before reading it. I got to really like the characters and I wanted to know what happened to them. And I wished I had read some Agatha Christie's because I might of figured out what happened before the end. There is a caveat though. If like me you know London well not to mention the geography of England and Wales you might find yourself noticing mistakes. And some Americanism's slip in despite a valiant attemp to keep them out. All in all a very interesting take on the time travel idea and a very worthwhile read. Badly researched, badly written, badly narrated. This book is full of anachronisms and americanisms. Clumsy and pedestrian, cliche ridden...almost a parody of the era...made even worse by the inept narration. All in all...embarrassingly bad. Basically an interesting story BUT: As other reviewers have said, the pronunciation of some words like passage - parseage, daimler - dimeler, A.R.P - arp, is very irritating. Some basic errors of idiom and history. You cannot make a phone call from a pillar box! The Victoria line wasn't built until after the war. To crown it all, the story isn't complete and I'll have to buy the second book to find out what happens. I wish I hadn't bothered but I want to know how it all ends. I found the initial premise very interesting and the threads that follow the time travellers through World War 2 in England are well written and absorbing. But how I wish that I had noticed the bit about this being part 1 of a 2 part novel, for the ending was very disappointing. Unlike other two or three part novels, there is no cliffhanger nor any sense of even partial completion. 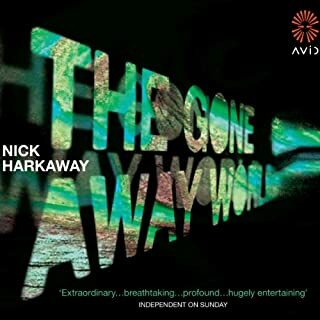 The ending simply leaves the story in limbo, to the extent that when the Audible music came at the end I was left only with a sense of confusion and concern that the recording had somehow gone wrong! A terrible disappointment after 18 hours of listening that meant what would have been a 4 start review ends up as just 2 stars and a recommendation to avoid - unless you are committed to both parts and prepared to wait until October 2010. If you like WWII stories, this is a wonderful book - it does a fantastic job of really invoking what it was like to be living in london during the air raids. Even small details are wonderfully brought to life, and the characters are fantastic. You get totally sucked into it! 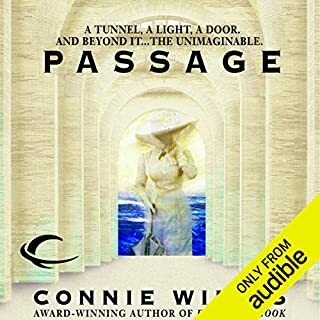 I'd read other Connie Willis stories and I liked her writing style, but if this is your first book by her, the style might take a little bit of adjustment. but be warned that it ends on a cliffhanger! You'll want to read All Clear next, it's the second half. This is a good story despite some Americanisms, such a 2 cent stamp on a letter, but completely let down by the narration; some of her accents were good but some very odd pronounciations - check out 'passage' and 'daimler'. On balance I think I would have preferred to read this rather than listen to it. 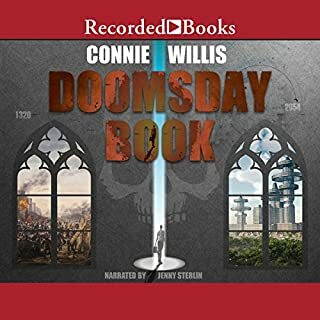 This is my second Connie Willis audiobook-it was brilliantly read with an authentic voice depicting the era that the book is set in. 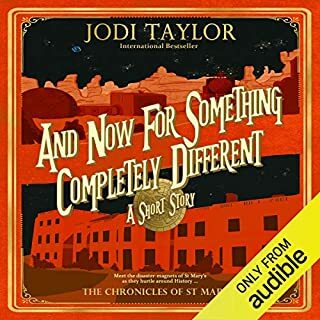 A long, well-paced satisfying listen that is very evocative of Britain in the 1940's, especially the parts set in London during the Blitz. There are several different narratives running alongside each other, anyone familiar with Connie Willis' time travel books will know many of the characters and find it easy to follow. I loved it! Am now starting on the follow up 'All clear'. It was Sunday morning, and I was standing over my cup of coffee in the kitchen, tears streaming down my cheeks, hoping none of my family would walk in just then. But this is time travel. What came first was 42 hours of audiobook, sometimes tedious, sometimes gripping. Even though the author could have edited out some of the characters' more repetitive thought-loops, I still give this book a wall of stars. 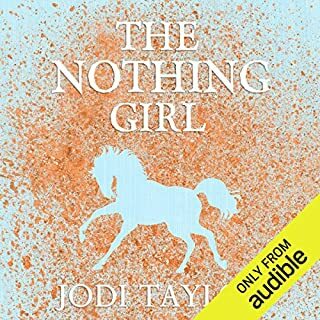 If I could give the narrator 10 out of 5 stars I would - her performance was phenomenal. I read other reviews on Audible before I bought these books. A number of people complained that Blackout didn't stand on its own as a book because of the abrupt ending. They felt that the author had just taken one book and chopped it in two. It is true that the two books must be read as a whole, but honestly, if the two books had been published as one it would have been too heavy to read comfortably! In audio format, I have absolutely no problem using two credits for this 42 1/2 hour read. I loved these books, would read them again, and highly recommend them. As an added bonus, for anyone wasn't there, this book will give you a real appreciation for how difficult life was during WW2 and how easy we have it today. 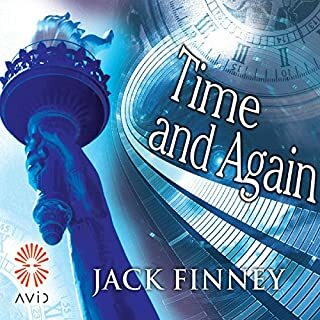 I imagine that if you don't know Connie Willis Historians and their particular form of time travel you may have something of a hard time with this book and it's second part "All Clear". I enjoy CW's time travel books as historical novels just as much as I enjoy them as science fiction books. Her portrayals of whichever periods her Historians are visiting are magnificent. But if you want to really enjoy her time-travel books I'd say read "To Say Nothing of the Dog" first because that one will help you better understand her whole time travel concept --it is also a great book, of course and laugh-out-loud funny-- I don't think she explains time travel much in "Blackout" and "All Clear". I read a review where someone is puzzled by Polly's desperate search for a black skirt and someone else wonders about the frequent mention of the drop and I can see how those things don't quite seem important if you don't know CW's approach to time travel and history. But if you do, oh if you do, how very much sense it all makes, how very important those things are and how well you enjoy it all. When you are done with "All Clear", make sure to read "Firewatch" a short story where we meet Mr. Bartholomew in the flesh! and we re-encounter Kivrin! She's doing well. I love this woman's work, she's given me many hours of happiness. I am sure there is a special place reserved for her in Cori Celesti. A Masterwork - across two parts. I have just finished listening to 'All Clear'.... and am still buzzing hours later... I loved every moment of it. Blackout as other reviewers have said is 'part one' and doesn't come to any resolution. Think of when 'The Fellowship of the Ring' ends and you know you have two more books of the Lord of the Rings to go. The first book doesn't resolve anything, just sets up lots of characters and plots....which is what Connie Willis does here. The first few reviewers who's disappointment I have read here must have had no idea a second book was weeks/days away from being available. I couldn't wait for 'All Clear' to be available. 'Blackout' would be disappointing without 'All Clear', so plan on getting both, you won't be disappointed. 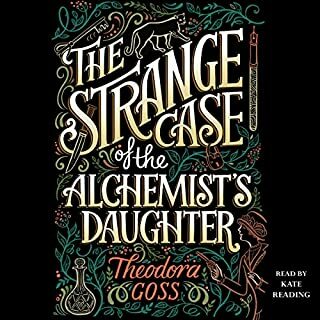 The narration is just fantastic, The characters are just as detailed and believable as her previous books. The writing is Connie Willis at her best. Blackout is embedded with subplots that the reader is allowed to enjoy alone, but offer no idea what the heck they are about until the last half of 'All Clear'. For this this just makes it all the more enjoyable. The fictional (although based in fact) historical stories about what life in WW2 might have been like were great. I don't need my history to be completely about facts and dates of great men doing great things. The little things can be just as interesting. Not so great was the time travel component. The time travelers give a good perspective for those of us not living through a war, but the contrivances of plot were unnecessary at best and distractingly bad at worst. I don't need my scifi to be "hard" to enjoy it, but I feel like the Historians really don't live up to that title. It seems to me that they are a narrative convenience rather than something something necessary to telling some great stories about WW2. What did you like best about Blackout? What did you like least? Its a splendid idea for a story. However, the execution is repetitious and long-winded. What could Connie Willis have done to make this a more enjoyable book for you? Shorten it by a hundred pages or so. What does Katherine Kellgren and Connie Willis bring to the story that you wouldn’t experience if you just read the book? Kellgren does a wonderful job. Ms. Willis could have quickened the pace by omitting the unnecessary dialogue and description. For example, the characters fret and speculate over their fate, or the reason for their situation far too much. It becomes repetitious and boring. Living The History ... Wonderful! 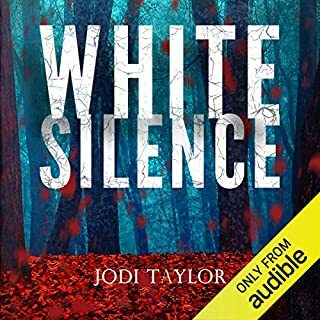 Where does Blackout rank among all the audiobooks you’ve listened to so far? It's up there in the top ten ... and I read virtually all the time. I've recommended this and the second part, "All Clea"r to many people and no one has been disappointed. What was one of the most memorable moments of Blackout? There's no "moment" ... It is a continuity, an experience very much like really being dropped into another time and place and living in that time. I read very fast, so audio books slow me down to the pace of human speech. 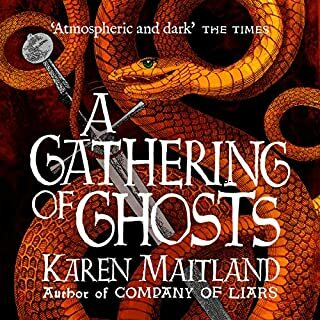 The narrator is very good and brings the characters alive. It's like a very absorbing movie, but I am the casting director, the cinematographer, the costume designer ... and sometimes, one of the main players. I would have if it were possible! I could barely bring myself to stop listening and get something to eat or remember that I had to sleep. Wonderfully complete characters, richly drawn. Beautiful writing, superb research. 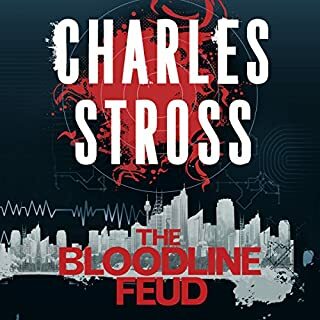 And this was a period in which I had never had any particular interest before reading this book and its sequel (they are really one book divided into two pieces). This book is the first of two volumes (Blackout and All Clear). I made the mistake of downloading both before listening to the first. I soldiered through both and was deeply disapointed. 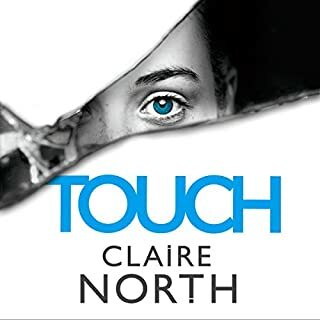 Here is my review for All Clear, everything I said there applies here:This book seems like it was written for an adolescent or teenage audience - but regretfully does not deliver the goods - even for that audience.It is repetitive, boring and slow. The protagonists bumble around in the dark repeating errors and themes in a seemingly endless cycle. The characters never develop, showing neither common sense nor worldliness even though they are supposedly experienced time - travelling historians.There were no reasons (other than chasing dollars) to make this a two volume novel (Blackout and All Clear). In fact the obvious attempt to stretch this tale out into two books is what makes it so bad.the ingredients are there for a good story. It could have been a wonderful novel delivered in about 250 pages. Too bad. Would you ever listen to anything by Connie Willis again? I love Connie Willis's books on time traveling, and in this one the historians travel to WWII London. The characters and plot drew me in, and the details brought this time to life. My comprehension of WWII history had been a collection of facts; Connie Willis puts a very human face on the war's impact on daily life in Britain. I think that this book, and its sequel "All Clear," could be used as part of teaching WWII history, because it gives a story context to the facts - and it is very entertaining! The narrator's voice and delivery occasionally annoyed me. She had a habit of raising the pitch and increasing volume at the end of sentences - a minor annoyance. I love Connie Willis books, and this one and its sequel "All Clear" are two of my favourites. They put you smack in the middle of the action in WWII, and treat the experience with expertise and sensitivity, while maintaining a fantastic time-travel storyline. 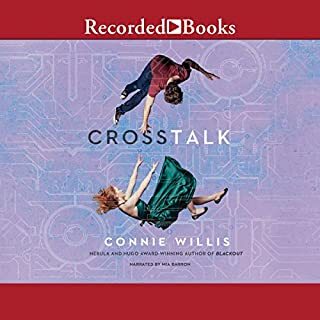 Time travel and the revisiting of a few characters we've met in some of Connie Willis's other books are the initial hook. But that is sidelined by the absorbing story of how the British coped with World War 2. 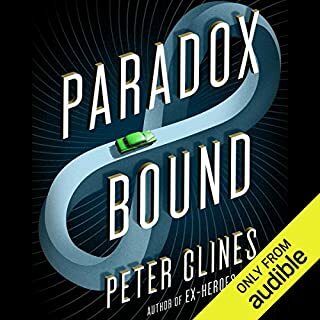 One of the best narrators I've listened to polish off both this and its continuation (the book All Clear).